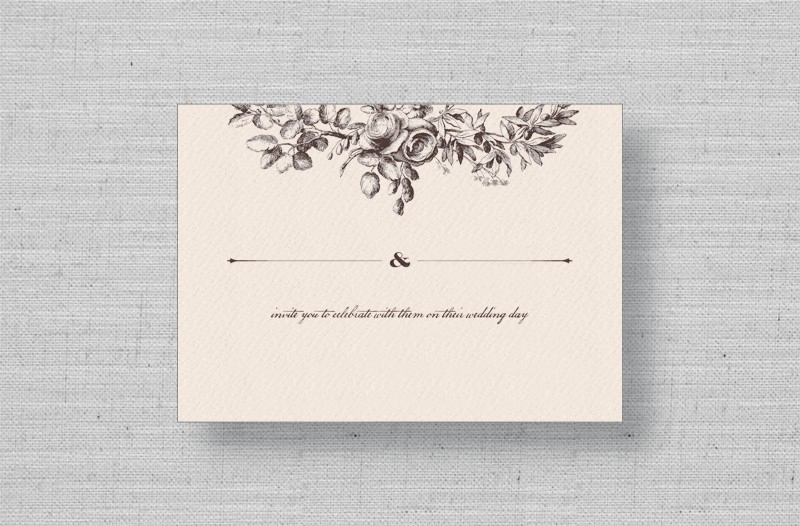 Include a vintage garden-themed reply card with your rustic Secret Garden wedding invitations. 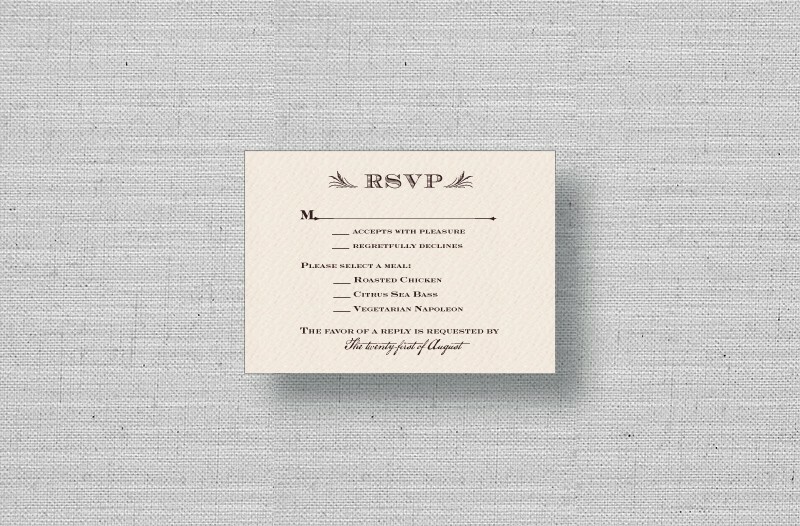 Flat printed on cream textured cardstock, with vintage brown lettering. Includes matching return envelope, which can be printed with your return address to save time!